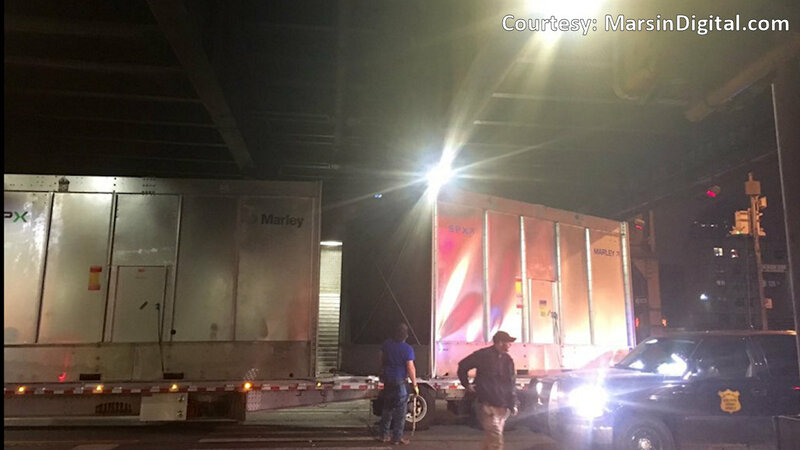 NEW YORK -- A tractor trailer carrying water cooler tower components struck the Metro North-Harlem Station overpass. The FDNY says that there are no injuries. The NYPD was requested for traffic control. The MTA says that trains are currently travelling at a reduced speed through the area. This is not expected to affect the Tuesday morning commute.